A hearing into the case against the founder of the social networking website Facebook has been postponed by the judge until 8 August. Three founders of a rival site, ConnectU, say Facebook's creator Mark Zuckerberg stole their idea for the site while they were all at Harvard. The judge has given ConnectU's founders extra time to flesh out their case. 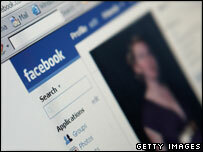 Facebook's lawyers denied the allegations and urged Judge Douglas Woodlock to dismiss the case. The Federal case accuses Mr Zuckerberg of fraud and misappropriation of trade secrets, and asks for ConnectU to be given ownership of Facebook. The ConnectU founders claim that while at college Mr Zuckerberg agreed to write computer code for them, but that he stalled and eventually created Facebook using their ideas. Judge Woodlock told ConnectU's lawyer to file a fresh plea specifying the facts to support the claims. "Dorm room chit-chat does not make a contract," he said. The case was originally filed in September 2004 but was dismissed on a technicality in March this year and immediately refiled.